D. George Cukor. With Charles Boyer, Ingrid Bergman, Joseph Cotton, Angela Lansbury. Alice Alquist was murdered one foggy London night, leaving her niece and heir alone in the world and quite desolate. The niece, Paula, (Ingrid Bergman) escapes to the continent to study singing and forget the tragedy. Some time later, she is courted by and marries Gregory Anton (Charles Boyer), a pianist she meets during her singing lessons. He has always dreamed of living in one of those big, old houses around a London square, so although her memories associated with her aunt’s house are still terrible, she suggests they move back to London, to that house, to create better memories. As they open the house, more of the story of Alice Alquist is revealed. She was a great opera star, courted and celebrated all over the world. She was strangled in the house, and Paula found the body. Neither the murderer nor motive were discovered. It’s obvious that the only reason Paula is back in the house is because Gregory seems so excited about the prospect of living there. Paula’s thoughts and memories are haunted by what she experienced there when she was younger. 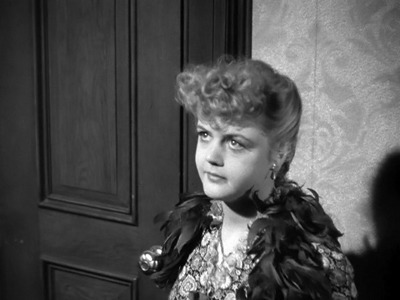 As Paula tries to adjust to the house, Gregory hires the servants: a cook, the deaf Elizabeth, played by Barbara Everest, and a maid, the sullen and bold Nancy, Angela Lansbury in her first role, both of whom are told to report directly to him and not to bother their mistress, who hasn’t been well, with any minor details of the household. On their three month anniversary, Gregory gives her a family heirloom, an antique cameo. Since the clasp needs to be repaired, he places it in her purse, pointedly asking her to remember where it is. When she questions his tone, he says she has been a little forgetful lately, and tells her not to worry. In my favorite line of the movie, Gregory asks, sadly and a bit regretfully, of Paula after she questions him on something: “Oh, Paula, are you becoming suspicious as well as absent-minded?” The broach disappears from her purse, it is accepted that Paula lost it. On one of their few excursions, Paula is seen by Brian Cameron (Joseph Cotton), a Scotland Yard investigator who was a great fan of Alice Alquist and actually met the great star as a boy. Paula looks enough like her aunt to be mistaken for her—Cameron becomes intrigued by the beautiful young woman who so rarely leaves her house. Cameron reviews all of the documents from the murder case, and an investigator who worked the case years before tells him that there were royal jewels given to Alice that were never found after her death. Meanwhile, Gregory is conducting a very insidious assault on Paula’s sanity: he says she has moved things, hidden things, repeatedly; he claims that she is repeating herself and entire conversations that they have already had; he is too familiar with the maid and then questions Paula’s perception of the situation; he refuses to let any visitors call and convinces Paula that she is too ill to go out. 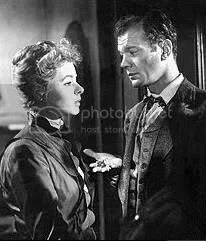 The title of the movie comes from her insistent observations that the level of light coming from the gaslight changes without provocation. (If you turn the gas on or off in one room of the house, the level of light in other rooms will be changed.) Because of this movie, the term has made it into the lexicon: gaslighting is a form of physiological abuse in which false information is presented to make the victim believe themself mad. The combination of her enforced seclusion, the strain on her nerves from living where so many bad memories were created, and Gregory’s insistent assertions of her mental frailty cause Paula to begin to crack: she starts to trust Gregory’s account of their life together—complete with her forgetfulness, suspicion, inexplicable acts, uncertain reactions—rather than her own conception of the situation. After one last, dramatic scene, in which Gregory says she is mad, mad just like her mother who died in an asylum, and that the doctors will be coming for her the next day, the camera follows Gregory when he leaves the house to work. He goes around the block, climbs in a broken window in an empty house… and breaks into the attic of his own house. All of Alice Alquist’s trunks have been stored here. He turns on the lights (causing the gas to go down in the rest of the house, where it is sure to be noticed by Paula) and continues his excavation of the trunks. Inspector Brian Cameron watches Gregory leave the house and forces his way past the servants to talk to Paula. He notices the gas going down and confirms that she isn’t imagining it; he listens to her story and asks who could be trying to make her think she’s crazy… and he tells her about Sergis Bower, Alice Alquist’s pianist and the best suspect the police had in her murder before his disappearance on the continent. Yep, ladies and gents, you guessed it: Gregory is actually and horribly Sergis Bower, a murderer obsessed with finding the jewels that Alice Alquist left behind. He’s been convincing Paula that she is mad so he’ll have the freedom to look for the jewels without hiding… and once she is put away, he’ll have complete control of the property and everything found on the property. While Cameron reassures Paula, Gregory/Sergis has been searching through trunks in the attic. His light hits one of the performance gowns, piled haphazardly over a trunk, and the light gleams back at him, reflected off the jewels that have been stitched into the neckline. When he sneaks back into the house, Cameron is waiting for him. As Cameron waits for reinforcements from the police, Gregory and Paula have one last interview: Gregory is tied to a chair, desperately trying to convince Paula to trust him one more time, to believe that Cameron’s accusations have been lies. Paula responds by… well, here, watch it yourself. It’s too good to summarize. I always forget how disturbing this movie is—you think, once you’ve seen something some dozen times or so, that you’ll be a little distanced from the horror. But the house—in the fog, in the small square—is just so claustrophobic. 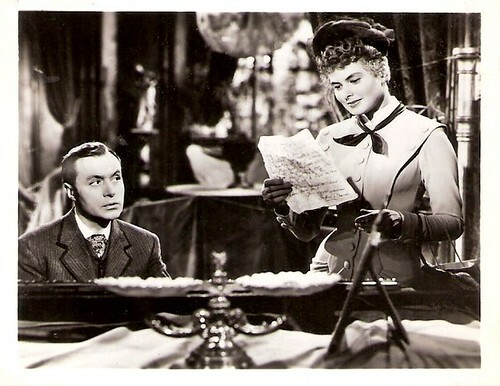 And Charles Boyer is absolutely wonderful as Gregory. He is the kind and attentive husband, concerned over his wife’s stability, and the next moment there is a cruel glint in his eye that you just might—might?—have imagined. Watching it a second or third time, you are very aware that each time he kisses Paula, he circles her neck with his hands. (Alice Alquist was strangled.) 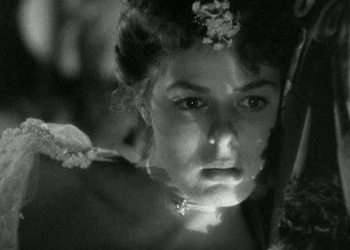 But Ingrid Bergman is what makes this movie unforgettable. She disintegrates so believably: part of it is script–the constant questioning of her own perceptions (apart from any sort of outside reassurance) just seems so real–but the majority is just her acting. The tension that is in her face is in every line of her body by the end of the movie. Highly recommended. Good Halloween fare—there aren’t any literal ghosts, but Paula is haunted by memories and by the thought of her own crumbling sanity, Gregory is haunted by the jewels—with their gleaming hearts of fire—and Cameron is haunted by the sight of the beautiful and sad woman, and the memory of the woman she resembles. Hi! 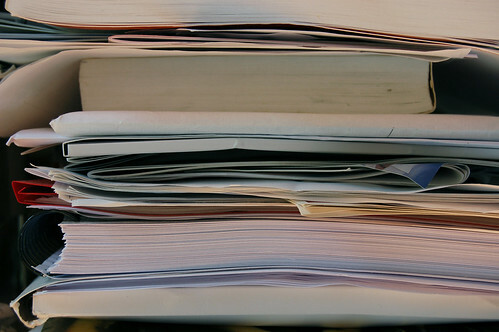 I'm Beth, chief scribe and curator here at Southern Bluestocking. I'm a bit of a bookworm, so I'm usually talking about whatever book I'm currently obsessed with, but every now and then I mix it up with movie reviews, recipes, crafts, and traveling plans. Welcome to my corner of the internet--pull up a chair, get comfy, and let's chat! Enter your email address to follow Southern Bluestocking and receive notifications of new posts by email.